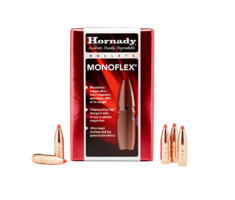 Hornady® has become synonymous with success in the field and on the firing line — in all conditions and environments. From prairie dogs to dangerous game, plinking to competitive shooting, we have a bullet for every application. Even an average hunt can become a memory that will last forever with Hornady® bullets. Reliable performance for hunting, self-defense, and law enforcement applications. 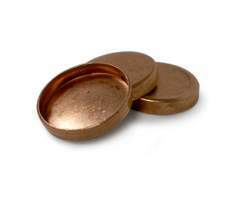 Cold swaged lead alloy that is hardened to prevent deformities after firing. 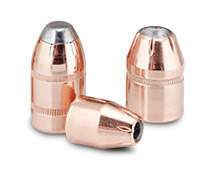 If you cast your own bullets, our crimp-on gas checks will enhance their performance. 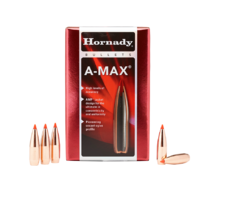 The Hornady® A-MAX® bullet design grew from a relentless application of everything we know about ballistics and flight characteristics. 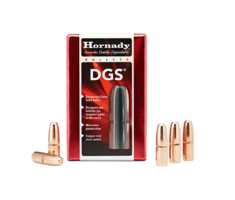 The Hornady® DGS® is an aggressive, hard-hitting bullet with an attitude to match. 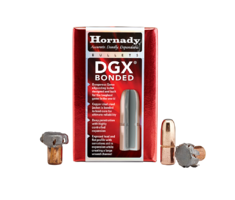 The DGX® Bonded bullet features a copper-clad steel jacket bonded to a lead core to provide limited, controlled expansion with deep penetration and high weight retention. 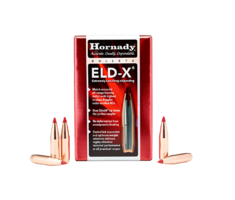 The ELD-X® bullet is a technologically advanced, match accurate, all-range hunting bullet featuring highest-in-class ballistic coefficients and consistent, controlled expansion at all practical hunting distances. 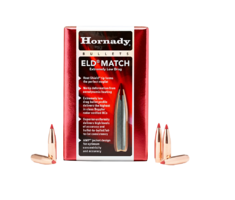 ELD® Match bullets are technologically advanced, enhanced accuracy target bullets featuring Heat Shield® tips. 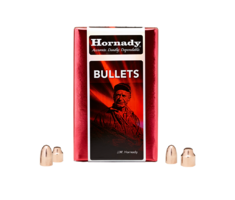 Hornady® FMJ bullets are built with a rugged AMP® bullet jacket (Advanced Manufacturing Process) that clearly delivers better performance. 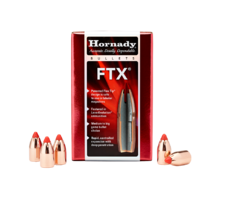 Hornady® FTX® bullets revolutionized lever-gun ballistics, creating a whole new level of performance for these popular firearms. 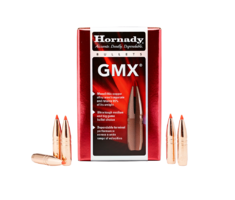 Hard-hitting and deep-penetrating, the GMX® bullet combines monolithic construction with pioneering ballistic design to meet the need for a premium, non-traditional bullet. 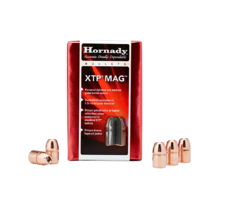 Modeled after the legendary XTP® bullet design, HAP® (Hornady Action Pistol) bullets are further refined into the perfect competition projectile. 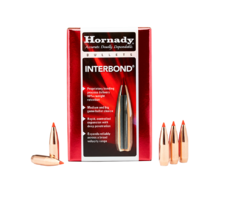 The Hornady® InterBond® bullet uses a proprietary bonding process that holds the core and jacket together. 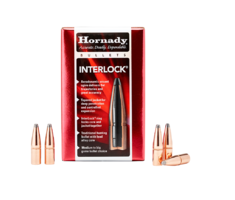 InterLock® bullets feature exposed lead tips for controlled expansion and hard hitting terminal performance. 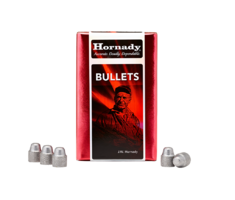 Hornady® lead bullets are pre-lubricated and cold-swaged for total uniformity and balance. 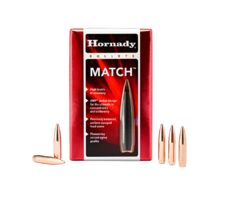 Hornady® Match™ bullets are manufactured to the tightest standards in the industry to provide superior consistency, high ballistic coefficients and unprecedented levels of accuracy. 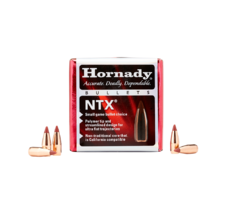 NTX® bullets provide peerless performance with non-traditional core material that combines accuracy, reliability and Hornady® quality for use in areas with restrictions on the use of traditional bullets. 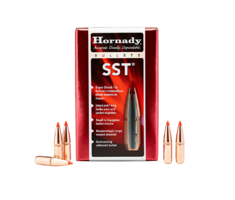 The Hornady® SST® is designed to deliver tremendous shock on impact while expanding quickly and reliably, particularly at higher velocities. 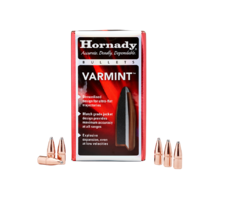 Crafted of pure lead with a match-grade copper jacket, Hornady® Varmint™ bullets represent the original standard created by Joyce Hornady for classic varmint hunting. 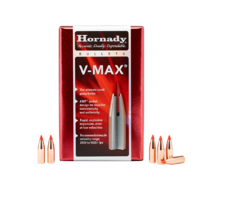 The Hornady® V-MAX® is the industry's leading varmint bullet with polymer tips and streamlined design, resulting in ultra-flat trajectories. 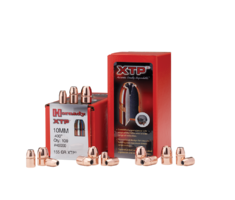 Designed for hunting, self-defense and law enforcement applications, the XTP® bullet demonstrates the kind of accuracy which led many competitive shooters to adopt it. Bullets for the field and the firing line. Our ballistic engineers continue to push the limits and design bullets that deliver supreme accuracy and unparalleled performance. 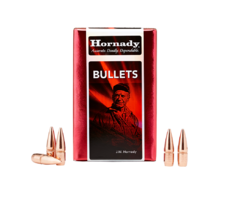 Defined by our actions, Hornady has always led the industry in innovation. At the front end of every ammo cartridge is a bullet that was designed for combat troops, hunting excursions and personal protection. Our slogan, “Accurate. Deadly. Dependable.” is not just a string of three words. It’s our commitment to leadership and performance. 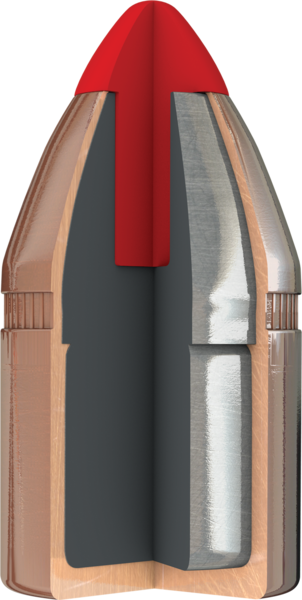 Product innovations such as the secant ogive bullet design, Flex Tip® technology, and the Heat Shield® tip, broke new ground in ballistic engineering and are now used in bullets for everything from match shooting to hunting. 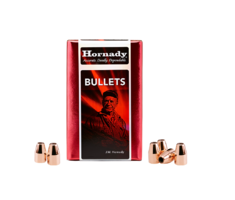 Hornady has been an industry leader in bullet design and innovation since 1949. “Ten Bullets Through One Hole” was the philosophy adopted by the company’s founder, Mr. Joyce Hornady, and continues right through today. 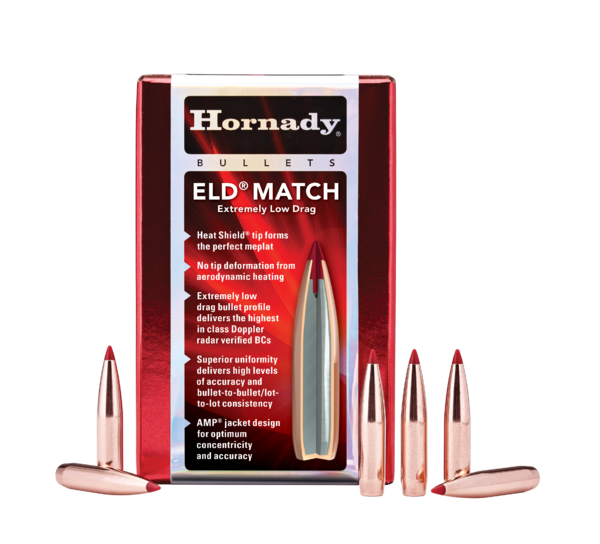 Consistent quality, accuracy and performance are, and always will be the hallmarks of all Hornady products. We oversee each aspect of production to insure that every bullet meets our stringent quality assurance criteria. With our own high-tech underground test facility, complete with top-of-the-line test equipment, we constantly test everything we make. We’re obsessed with providing the best performance from every single bullet we design. 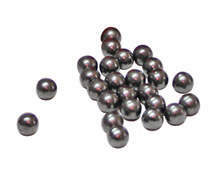 Our impressive product line includes over 300 bullets, ranging from 17 caliber all the way up to the 50 BMG. We are always working to originate the next technological innovation and we thoroughly enjoy what we do. 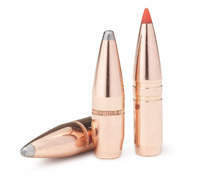 From prairie dogs to dangerous game, we have the perfect bullet to meet every hunting and shooting need. 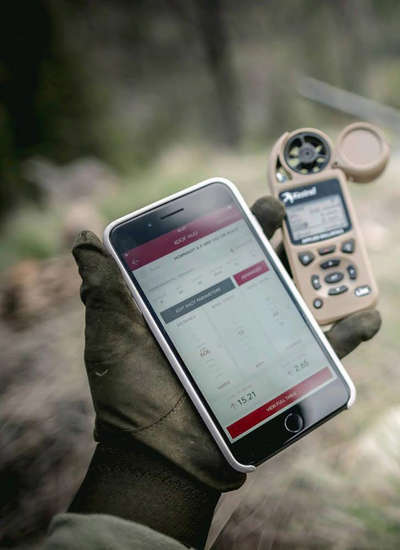 The new Hornady Ballistic Calculator App includes the advanced 4DOF® calculator as well as a standard BC calculator. Providing more accurate trajectory solutions, the 4DOF® calculator incorporates the projectile’s movement in the standard 3 degrees but also adds its movement about its center of gravity and subsequent angle relative to its line of flight, which is the fourth degree of freedom.